August 26-30 | San Luis Obispo, CA, U.S.A.
You can see the programme and accepted papers of the 1st Workshop on Tabletop Games (FDG 2018) here. 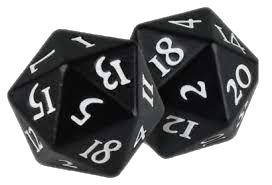 We define tabletop games here to include any game played by a group of players (or one player, in niche cases) on the tabletop: this includes board games, role-playing games, technology-enhanced board games (e.g. ​Mansions of Madness or ​Alchemists), and so on. Computer simulations of tabletop games are also included, e.g. for simulated board game play for the purposes of artificial intelligence or other computational tasks. Importantly, the topics of this workshop do ​not ​​include playground activities or urban games, pervasive games (e.g. played throughout the day during other activities), and games intended to be played exclusively on the computer (e.g. digital card games such as ​Hearthstone). Therefore, while a computer-based generator which outputs a map and description which can be played on a tabletop role-playing game such as ​Dungeons & Dragons is acceptable, should the same generator only output dungeons played on the computer it would not be acceptable. Similarly, a computer simulation (interactive or not) of Chess would be acceptable provided that it simulates a board game (in this case Chess) which can be played on the tabletop. If you have any questions on whether a topic is within scope of this workshop, please contact us at tg2019@easychair.org for the specific case. We welcome submissions as either full papers describing novel research (5 to 8 pages, excluding references) as well as short papers (2 pages). Note that full papers may be published at the ACM Digital Library under circumstances (depending on the number of accepted papers), but short papers will not. Ethnographic studies on playing or designing board game play. Comparisons between specific board games or a study in a game’s historical evolution in case of multiple editions and remakes. Studies in design patterns, taxonomies or other elements of board games. A procedural reading of board game design. Board games for a purpose (e.g. education, psychological support, training). Artificial Intelligence for playing board games, card games, or tabletop role-playing games. Automated generation of board game elements (rules, pawns, board setups, cards, tabletop role-playing dungeons, ...). Technology-mediated board game play, e.g. as game master, time keeper, or audiovisual stimulus. Critical analysis of board games. Board game design informed by game studies research. Proposals for sharing and community building (repositories, youtube channels, ontologies, jams). History of tabletop games (or a subset thereof) and current trends. We welcome full papers of 5 to 8 pages in length. We also welcome short papers on positions, visions and work in progress on topics that are relevant to the topic of tabletop games: short papers should include some key references. We also encourage the submission of demonstrations of research prototypes and various interesting tabletop designs, which can be accompanied by a long or short paper (of 2 pages). Note that full papers may be published at the ACM Digital Library under circumstances (depending on the number of accepted papers), but short papers will not. Papers submissions will be subject to double-blind peer review, and each submission will be peer reviewed. Authors of accepted papers will be invited to give an oral presentation of their paper at the workshop. All submissions should be anonymized, as the review process is double-blind. All submissions (short and long papers) should be in PDF format and comply with the ACM SIGCONF format and need to import ACM CCS 2012 concepts. Both LaTeX and Word ACM SIGCONF templates are acceptable for producing the PDF file. Antonios Liapis is a Lecturer at the University of Malta. He has organized numerous workshops at FDG, AIIDE, and other conferences. He is the general chair of the EvoMusArt conference (2018-2019), the general chair of the Games and Learning Alliance conference (2019), and has helped organize the Computational Intelligence and Games conference as a demonstration chair (2019) and a local chair (2016). He is an Associate Editor of the IEEE Transactions on Games and a chapter author for the book Procedural Content Generation in Games. His research interests include the mixed-initiative design of game content, procedural content generation, digital aesthetics and human-computer interaction. He has received several awards for his research contributions and reviewing effort. Fernando de Mesentier Silva has worked as a substitute teacher at the Federal University of Rio de Janeiro, and in the game development, consumer research, and biometrics industry. He was a member of the program committee for the Computational Intelligence and Games conference, Foundations of Digital Games conference, and reviewer for the Evolutionary Computational Journal and the IBM Journal of Research and Development. His game, Awkward Date, was selected to be part of the 2015 NYU Game Center Summer Incubator and nominated for Best Student Game at the 2017 Bit Awards. Fernando is also the co-founder of Asterism Games Studio LLC.. His research interests include artificial intelligence for game design analyses, automated game playing and generation of game playing heuristics.